Constipation is a very uncomfortable and often painful problem to have. That feeling of being backed up and then still needing to eat with no relief in sight can become very distressing. Constipation every now and then is common for a lot of people, but if you have chronic constipation it can really interfere with your quality of life. Causes range from lifestyle factors like stress, not eating enough fiber, not drinking enough water, not exercising regularly, to a health condition like IBS (irritable bowel syndrome), bowel obstruction, or diabetes. Women also often experience constipation during pregnancy or before their period. This is because anything that affects your hormones or nerves can influence your bowel. Constipation is usually characterized by needing to strain, going less than 3 times a week, feeling like you were unable to completely empty your bowels, or having hard or lumpy poop that may have caused pain. You may also be struggling with pain, bloating, and gas due to being constipated (1). Not to worry, a very simple and natural alternative to using laxatives that can often cause side effects, is using honey for constipation. Does Honey Make You Poop? When you look at honey, it seems really improbable. 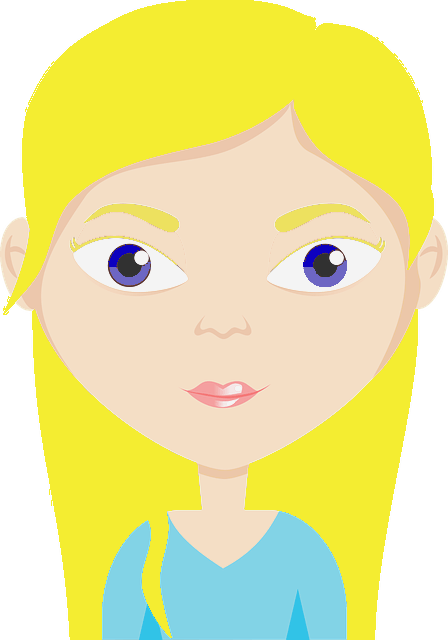 Is honey a natural laxative? Really? The answer is yes. This delicious golden substance is easy to use and many people are raving about how effective it is. Honey is a mild laxative possibly due to its fructose content. The inability of the body to fully digest the fructose causes the body to produce a bowel movement to get rid of it. Though the mechanism by which honey relieves constipation isn’t always clear, there are multiple studies that show that it does help to relieve constipation (2). Honey reduces inflammation which can help with pain-management during constipation although of course, the best way to relieve the pain is to have a bowel movement (2). Honey has prebiotic properties thanks to its oligosaccharide content. It feeds the good bacteria in your gut that help to keep you regular. In addition to eating fiber-rich foods, including honey in your diet regularly is a good way to achieve good gut health. Always use raw honey as the processed honey no longer has health benefits. 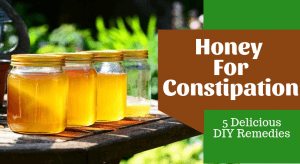 You’ll also find that some types of honey (the flowers the bees used to make the honey) work better than others, for example, honeydew, alfalfa, sourwood, acacia, sage, eucalyptus, clover (not red clover) and chestnut are the best kinds of honey for constipation (3). If it’s your child that has constipation, it’s important to note that your child can only be given honey if he or she is older than a year. Giving your baby honey for the age of one can make them really sick. For older children, honey is yummy and mild enough for little tummies. Simply eat a tablespoon of honey three times a day. For some, this may be a bit too sweet and not everyone enjoys the taste of honey. Honey is very versatile and can be used to make remedies that may taste better to you. You can try one of the below remedies instead. Lemon juice helps to improve the health of your digestive system. This remedy is especially effective first thing in the morning but can be drunk at other times in the day for relief too. Add up to a tablespoon of honey to a warm glass of water. Squeeze in the juice of up to half a lemon. Most people report relief within an hour of taking this remedy. Many people have used honey to sweeten their tea for centuries. You can also make iced tea and use honey to sweeten it. One of the best ways to increase your fiber intake and use honey simultaneously is to add honey to oatmeal and banana in the morning. Adding berries or other fruits and seeds can also help with adding fiber. Eating granola with some fruit, yogurt, and honey is also a delicious way to eat more fiber. Spread honey on some whole grain toast for breakfast or lunch. Honey also goes well with pork and chicken or you can create a honey mustard dip for your veggies. Smoothies and juices are a great way to eat more fruits and vegetables. Most juicers will remove the fiber which isn’t ideal, but you can still boost your immune system through nutrients. You can use the pulp to bake or put into soup or you can even just put it back into your smoothie or juice. In addition to adding honey, you can also add an oil, for example, coconut oil or olive oil. This will help to lubricate your system to allow your poop to pass more easily. Don’t use honey if you are allergic to pollen or propolis. You can try one of these other constipation remedies instead. Make sure that you stay well hydrated by drinking water and herbal tea throughout the day. Whole grains, fruit, vegetables, and legumes (peas, beans, lentils) will boost your fiber intake. Women need 25 g and men 38 g per day up until 50 years of age, then 21 g and 30 g over 50 years old (5). Be sure to eat these foods every day. Increase the amount that you eat slowly as it takes a while for your body to be able to digest fiber effectively. Exercise regularly as it will help you to stay regular. Even just taking a walk most of the days of the week will be helpful. You may find abdominal massage can help to get things moving again. Massaging your stomach in a clockwise circular motion for 10-20 minutes may help you to have a bowel movement and can help to alleviate gas and cramping too (6). Try to stay away from very dehydrating drinks like soda and alcohol. If you still have constipation after a few weeks despite being well hydrated, eating enough fiber, and exercising, you should see your doctor. If symptoms like nausea, vomiting, loss of appetite, intense pain, or swelling accompany your constipation, it’s best to visit your doctor. We would love to hear from you, please share your best constipation remedies with us. If you have any questions, please let us know in the comment section below.